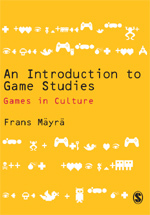 Mäyrä, Frans & Lankoski, Petri (2009) “Play in a Hybrid Reality: Alternative Approaches into Game Design”. 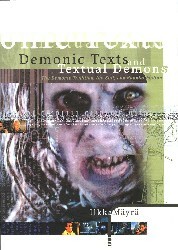 In: Adriana de Souza e Silva and Daniel Sutko (eds. ), Digital Cityscapes: Merging Digital and Urban Playspaces. New York: Peter Lang Publishers. p. 129-147. Lankoski, Petri, Heliö, Satu, Nummela, Jani, Lahti, Jussi, Mäyrä, Frans & Ermi, Laura (2004) “Case Study in a Pervasive Game Design: The Songs of the North.” In: NordiCHI 2004 Conference Proceedings, p. 413-416. New York: ACM. Also, Annika Waern has in her blog several good points, see e.g. Thanks for the complementary references. Hope you can resume your holidays after the hype of Pokemon Go.